I have to admit, the first few times I saw the video of this Brazillian baby boogying on top of a table, I thought it was fake. I mean, the kid just moves too good for the video to be real, but it is adorable so I figure… why not share it with the PopFi World? Everyone loves adorable stuff like babies with laser eyes, and this kid’s dance moves are way better than my own. Then it hit me. This is like 1998 all over again, instead of a computer-generated image of that dancing baby, Baby Cha-Cha, we’ve got a real-life kid doing a dance that’s becoming a huge viral sensation. All of our internet memes are coming back into style again. 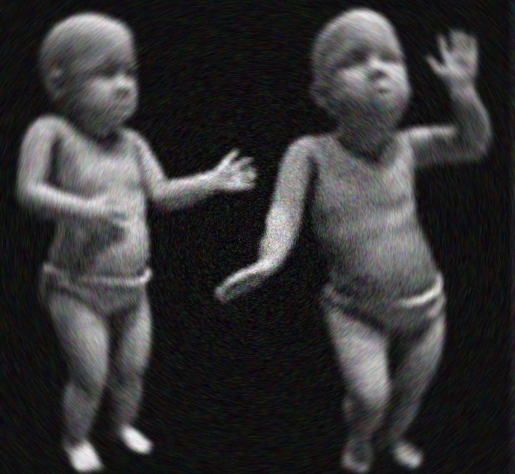 I guess this makes dancing babies into the bell-bottom pants of the Internet? Next thing you know, we’ll be saying “all your base are belong to us” again!